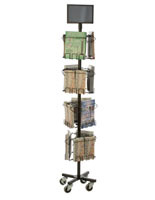 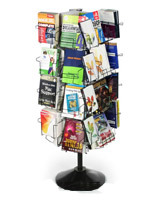 This freestanding adjustable brochure carousel stands 72" tall and is made from durable metal wire with a neutral black finish. 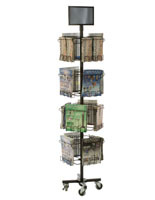 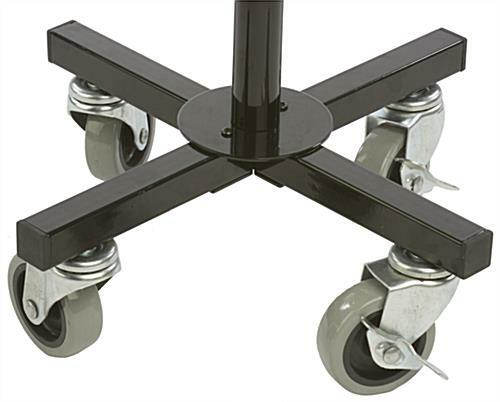 The eye-catching racks have a removable 11" x 17" header and four tiers that rotate independently of each other. 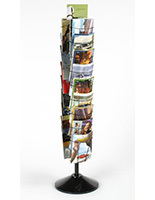 Each tier of the adjustable brochure carousel has 2 pockets that convert from holding 8.5" x 11" to 4" x 9" literature. 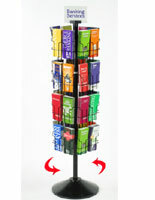 The fixture as a whole can be used as (8) magazine holders or (16) brochure displays. 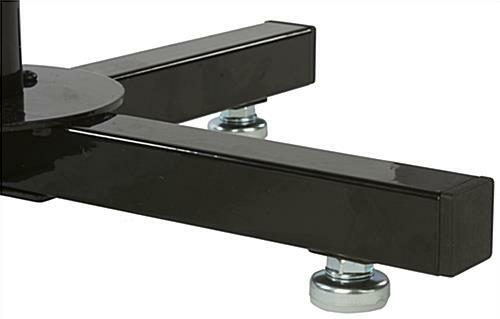 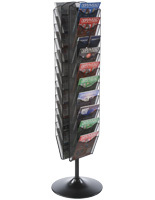 The rotating brochure carousel with optional header also comes with both floor levelers as well as (4) 3" caster wheels (2 locking) for mobility if desired. 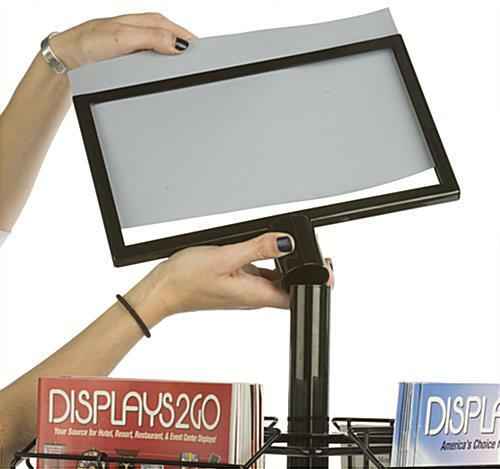 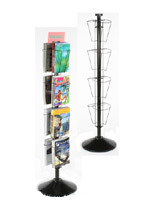 This versatile black magazine holder or brochure display is a superior choice for high traffic areas that need easily accessible literature dispensers.